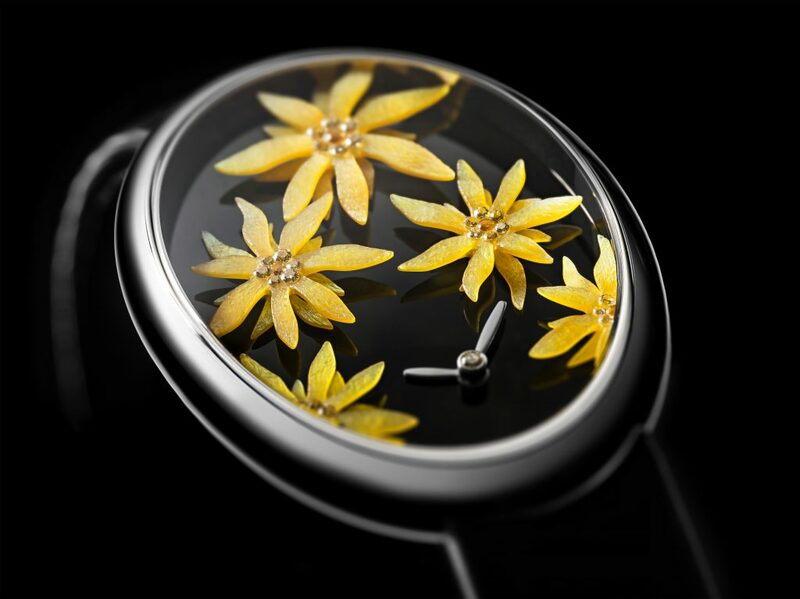 Discover VAN’T HOFF’s “Edelgold” timepiece. Warm hearted, glowing and cheerful this timepiece illuminates the magic of your love’s promise. This piece is adorned with skilfully carved layering of Edelweiss petals of golden mother-of-pearl. 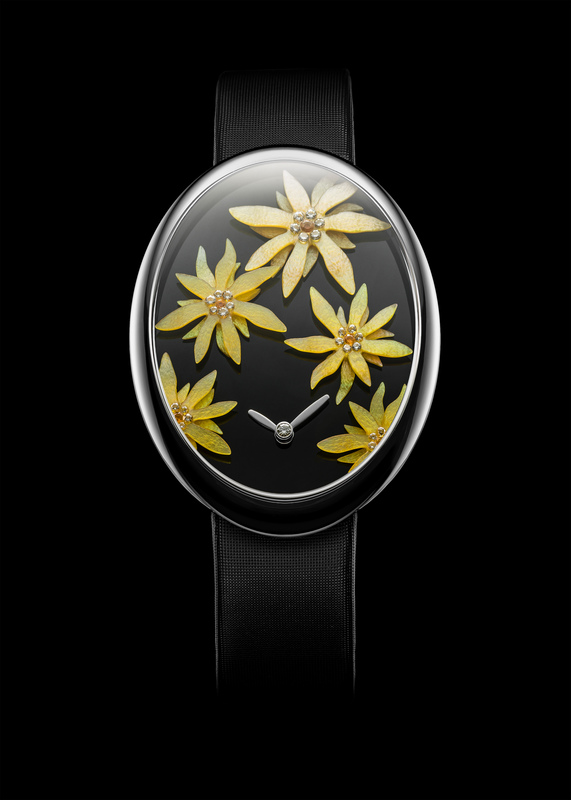 The heart of each Edelweiss is composed of a myriad of white diamonds and orange sapphires. We would be delighted to help make your unique watch come true. Experience our bespoke service.